Use neutral paint to show off colorful accents. Choosing paint colors may be one of the hardest things to do in home design. That earthy clay pot color you chose at the paint shop could be utterly pepto pink when you slap it on the walls. There are many ways to approach this tricky issue but over the years I’ve found a few ways to simplify the process. 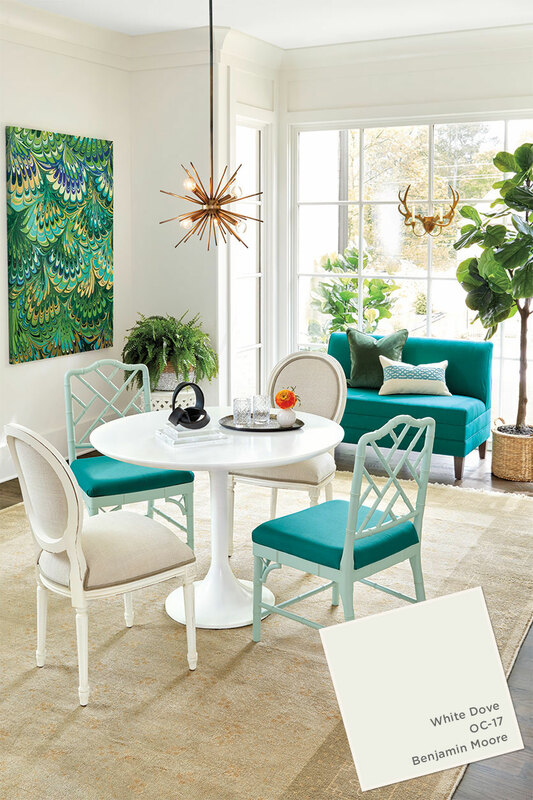 The first decision you want to make is A – do you want your walls to be neutral so your accents can stand out (think art, fabrics, furniture) or B – do you want your room to be bold with color throughout. There’s no mystery why art museums have stark white walls. You wouldn’t want anything to compete with the works of art. Usually in my home I go back and forth. Some rooms, like bathrooms or bedrooms can be bold and punchy while others are very subtle to offer plenty of opportunity for other colors and patterns in the room. If you decide to go neutral your decision comes back largely to some shade of white, beige or grey. Now… don’t go thinking this is going to be, in any way, easier than picking a bold color. You’ll find grey’s can end up purple and beige can end up green and vise versa. Be sure to look at the color in bright sunlight (indoor light simply will not do) and again in the room at different times of the day. If you’re going for option B, find a piece of art, a rug or a photograph that you absolutely love. Within that piece you can find all the color choices you need for a space. 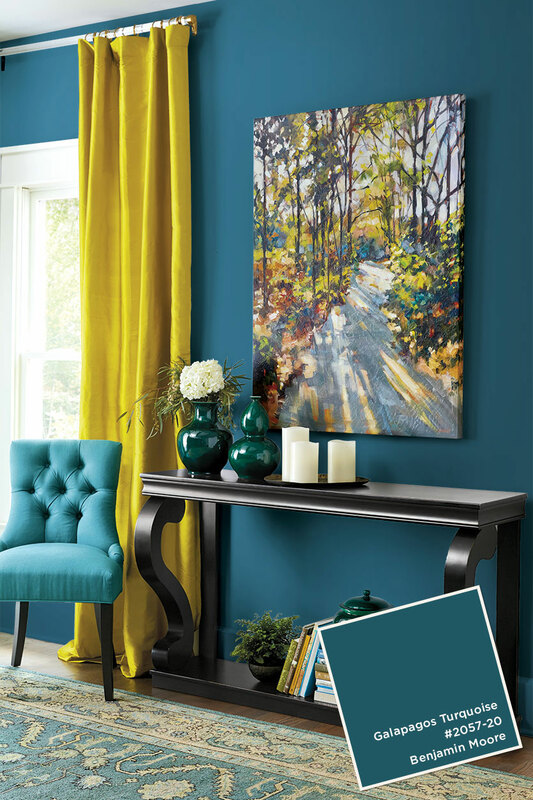 When picking out colors for my current home I started with a oil painting of an Italian cityscape. From that painting I pulled out grey tones, lime greens, navy blues and vibrant oranges. I used these colors not only for my paint but also for furniture, drapes and rugs. If you truly love your inspiration piece all the colors will work in harmony in your home. 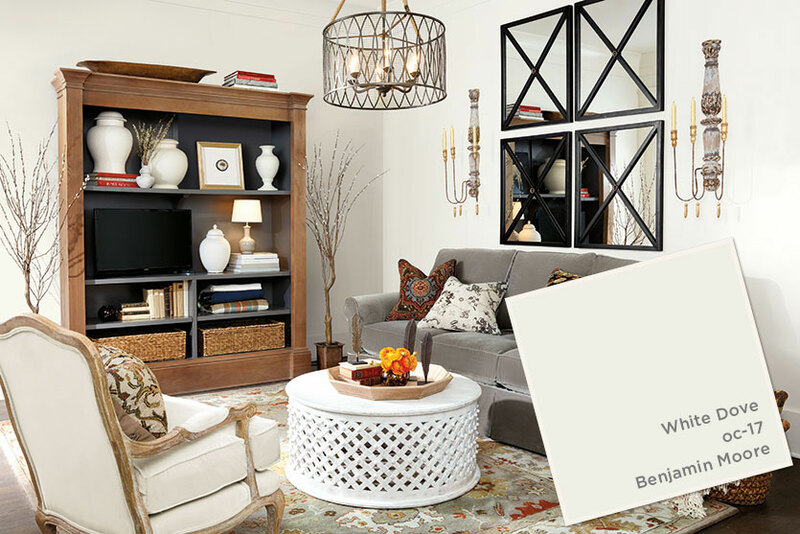 Find a piece of artwork to use as an inspiration piece to help pick a wall color as well as accent colors for the curtains and furniture. Or you can go for the simple neutral pallet throughout. Be sure to use many different neutral tones so everything doesn’t get washed out. Wood tones can warm up an otherwise cool room. Also, thanks to Bloomington Paint and Wallpaper for their continued support of my painting addiction.